Travel Diaries. Online Travel Journals. Travel broadens? Travel Diaries. Online Travel Journals. I took a turn Id never taken. 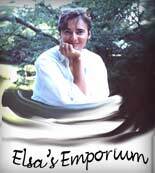 Elsas travel journals, personal travel blog thoughts, travel diary on a sudden setting out. Travel Diaries. Online Travel Journals. I took a turn I’d never taken. Travel diary on a sudden setting out. I pulled out of the driveway, drove on familiar roads for maybe 20 minutes. Then I took a turn I'd never taken before. I was heading down roads, miles and miles, days and days, of roads I had never traveled. That was four days ago. I can still feel a bit of the rush of excitement when I write about it. The day before I left, I wondered: is this crazy? I will be bored, all that driving. It's all too much. Plus there's so much at home, so much to do - and everything is there, so convenient. But I turned along that road unraveled. I drove in the early afternoon, autumn colors everywhere, sunlight on the trees. I knew it was the right decision. Would I feel the same in an hour? Two hours? I didn't know. But it felt so good to be on a road untaken. So easy to feel the world is that space between the small space in the city, the big place in the country. Back and forth. Dog along. Cats with lots of food to tide them over for the 2 days I was away. Also so easy to believe: I have enough on my plate already. So much to do. So freeing, to drive. One turn, one stretch, then another. On and on. Intimidating, as well as freeing. Maps and I are not the best of friends. It has been the right choice. That I feel in every fibre of my being. I left Monday. It is only Friday. Four nights in four very different places. Every day with hours of different scenery, stopping at different sights. Campobello Island. Bay of Fundy. Nova Scotia North Shore. Cape Breton Island. I am getting eager to get home, in fact. And yet also not eager. I cannot believe how much I have seen that I had never seen before. Miles and miles. Hundreds of miles. My mind is crowded with images. I've also met new people - but those contacts have been very light. Yet still, even those - they have a freshness I haven't felt in a long time. They are not from the same tracks, the same places, the same grooves. I will most likely never meet any of those people again. And the places - maybe I won't go those ways again. But I have been there. And parts of the world are much larger and more detailed in my personal inner map. Plus my own life, my situation - fresh air. I did not sleep well last night - or anyway, I was asleep by 6, and woke up just before midnight. Along with all those wonderful things about travel, I also ran into an early unexpected snowstorm in the mountains - twists and turns, slippery roads - long drops. I made it to the first small town. Met people who had ben coming from the other direction. Their car had flipped. Heard about two other cars that had gone off the road. Lots of sides to this traveling thing - though of course one can go off the road near home too. But there I know the roads better. More on traveling. Today I heard 2 voices. One from someone who, like me, had had an unsettling driving experience yesterday: unsettling - she thought she, her husband and 2 young children were going to die. Don't go on that road. Not worth it. Her words. I was ready to go with her words - not go there, go back along the somewhat less steep road I had come along. Then a local woman spoke up. "Car just passed. From Imgonish direction. Road must be fine." A couple of minutes passed. "Another car. I'm sure the road must be fine." Within another few minutes, another two cars had passed. I chose to listen to her - and I feel grateful to her for speaking up, giving me her view, from her long experience, in her soft Island accent. I thanked her, knowing that I had something to be thankful for. The drive was not easy - but not treacherous like the day before. I drove very slowly for 10 km and then got to see shoreline and villages I would never have gotten near, if I had listened to the voice of fear. Fear has its place. But sometimes the danger is in listening to the fear - especially if there is nothing to counter the fear. So once again, many new sights, tiny little experiences adding up to a day richer than had I backed away from a somewhat difficult drive. I am sitting, having a late lunch in a bay, heavy clouds, autumn colors on the hills, sea lapping the shoreline. And now, time to go on. And now I'm back, a couple of days later, with more thoughts. On how we take both the best and worst of ourselves with us. For example, I've been stopping anywhere in the evening. One of the worst parts of myself: she pushes me to go on, and then she is miserable, wishing she had not. One of the best parts: I do go on, find something that works well - and all the parts of myself are relieved, feel good. I tell myself: tomorrow I will stop earlier. I don't - not because I don't want to - but one of the best parts of myself knows the distance I want to travel, and recognizes that if I stop early, I just won't be able to make it. But she can't stop that other part, the worrier, from worrying that there will be nothing to be found, that it will get dark and I will be stuck driving in the dark. It has happened - but very very soon, I have been lucky. Phew. Travel ... broadens the mind. Travel - a change is a good as a rest. In French, there's an expression, something like, travel rejuvenates. There are also words like homesick. But for now, travel .. a breath of fresh air. on old old inner patterns. to thoughts about being an insider and an outsider. Travel Diaries. Online Travel Journals. I took a turn I’d never taken. on a sudden setting out.